Many people wonder what the difference is between BOTOX® and fillers used to treat wrinkles and fine lines. BOTOX, and its competitor Dysport™, are both made from botulinum neurotoxin; which work to block the nerve action on muscles. Both products are used for the treatment of dynamic wrinkles, which are caused by repeat muscle activity. When you frown, do you see creases or vertical lines resembling the number 11 between your eyebrows? If you raise your eyebrows or look up, do you get horizontal lines across your forehead? How about your eyes? When you smile, do you see crow’s feet at the corners? All of these types of wrinkles are examples of dynamic wrinkles that can be treated with either BOTOX or Dysport. This treatment involves a very tiny needle to make the injections into the muscles that are causing the dynamic wrinkles. The entire process typically lasts only 10-15 minutes, and no local anesthesia is needed. Although there may be temporary bruising or redness at the injection site, there is not any downtime or recovery time to worry about. It takes approximately 3-5 days on average to see minimal effects, and can take up to three weeks to produce maximum results. The treatment results typically work for about three to four months. These are considered complementary procedures in the treatment of static wrinkles, enhancement of volume, lip plumping, lip augmentation, and the treatment of lipstick bleed lines. The most common products contain collagen, polylactic acid, hyaluronic acid, or calcium hydroxyl apatite. Unlike a dynamic wrinkle, a static wrinkle can occur due to multiple reasons. For instance, there may be sagging because of gravity as we get older. Volume loss in the face is another issues as we age. There are some static wrinkles that may be worsened by muscle activity, such as the smile lines and nasolabial folds that appear around the nose and mouth. When fillers are injected into the face, there is generally a requirement for topical or local anesthesia. Injections can take 15-30 minutes or longer depending on the complexity of the area being targeted. It’s crucial to stop taking certain drugs at least 7 full days before the procedure takes place. These include NSAID pain relievers such as naproxen sodium, aspirin, and ibuprofen. 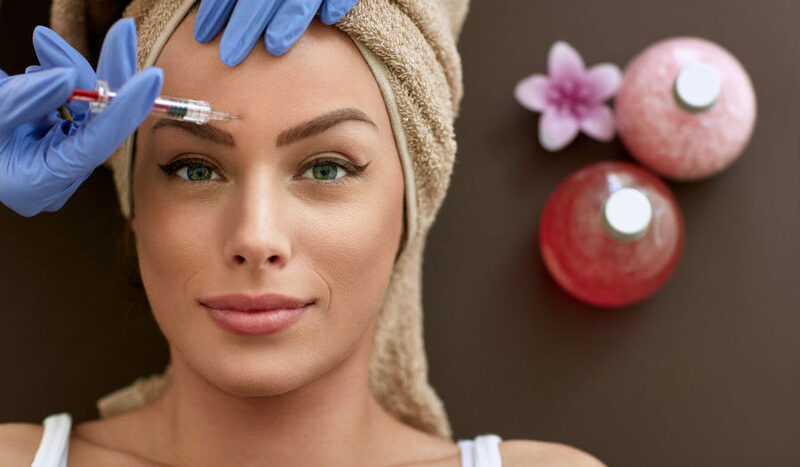 You may want to avoid big parties or important events for several days following the injections due to localized redness, bruising, or swelling that may occur. I offer free consultation to see which cosmetic solution is right for you. Let’s sit down and discuss how I can help you reach your aesthetic goals. Call or text me my cosmetic concierge line at 917-860-3113, which is available 24/7. You can also call the office for an appointment at 1-844-426-8696. James Christian Cosmetics proudly serves the population of Suffolk County, and the surrounding areas of Long Island and beyond including East Setauket, Islip, West Hampton Beach, Commack, Manhattan, Brooklyn, Rockville Centre, Farmington, Babylon Village, and Huntington Bay, New York. *Dysport™ is a trademark of Galderma Laboratories, L.P.